These days, it is sadly not uncommon to see physical education and recess being cut out of schools due to funding reallocations and lack of resources. Now more than ever, after school programs that encourage fitness, activity, and constructive socialization are critical for the development of young people in our country. Traditional choices like kids soccer, karate, and outdoors groups like Boy Scouts are all excellent ways for kids to build strength of mind, body, and character, but it is our belief at Hot Ground Gym that they are not always enough. Although they all demand vigorous movement and personal growth, these competitive models rely upon a crude understanding of child psychology that often only rewards the highest achievers. 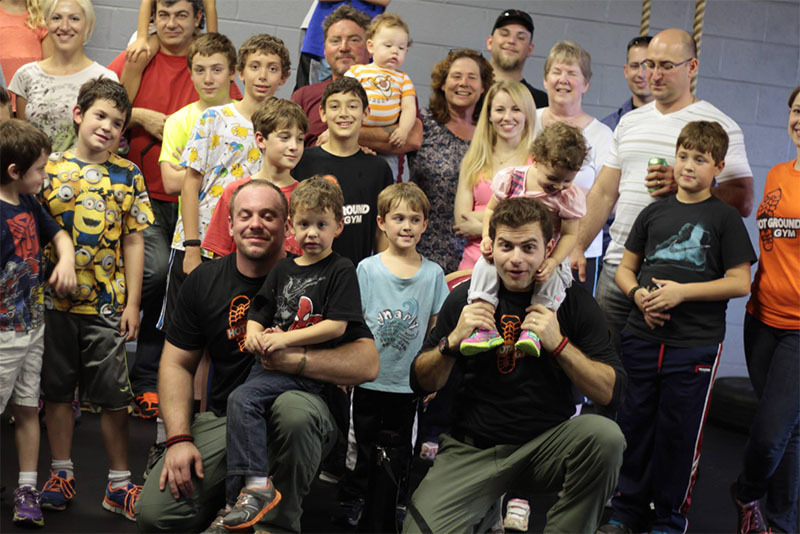 At Hot Ground Gym, we developed our JuniorBoots program to meet all of the physical needs of the child, while simultaneously addressing the development of critical thinking, teamwork, and leadership. In fact, we would go as far as saying that these features are actually the most important element of the JuniorBoots program, because they generate the motivation to succeed and grow that makes kids actually strive to push themselves physically. In the other programs we listed above, top performers are encouraged with rewards like trophies, belts, and merit badges—superficial achievements that often merely reflects skills, not necessarily the improvement of the child him/herself. In Junior Boots, our reward system—color-tiered wristbands kind of like karate—reflects not only the child’s achievements within the program, it also demonstrates their commitment to the values of the program in the other parts of their life. This may sound ambitious, but it is our ambition to make a positive difference in kids’ lives, not simply to distract them or help them blow off steam. 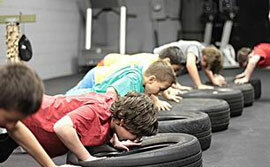 And the difference we make can be seen in the commitment and enthusiasm our JuniorBoots recruits show for the program. No offense to any soccer coaches out there, but we have seen kids being dragged onto the field kicking and screaming; with JuniorBoots, it is the parents who have to be convinced by their kids, who refuse to miss even a single session. 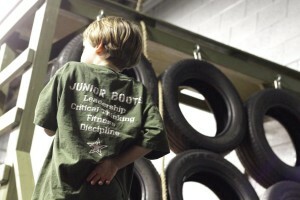 JuniorBoots is the perfect mix of fun and discipline. We believe you can’t have one without with other. But the goal is not to simply make these kids obedient. In fact, it’s just the opposite; Junior Boots recruits internalize this discipline, and begin to see virtue and hard work as its own reward. Whether it’s through community service, better grades in class, or a multitude of other indicators of good citizenship, we consistently see our recruits holding themselves to the same higher standards that we ask of them during the program itself. Of course, there’s no one single way to make sure your kid gets the experiences and education they need. After all, every kid is different, with different interests and skills. But at the very least, they all need to move around and make friends. There’s a lot of approaches out there, but we believe JuniorBoots is the only method that makes these differences into a positive, rather than a negative. With JuniorBoots, every kid has the opportunity to lead, perform, strategize, and grow within the team. There’s no “participation” awards, the participation itself is always a personalized challenge, with unique rewards for every kid.